(Newser) – The Getty Museum is the first museum in North America to agree to return a painting looted by the Nazis from a Dutch Jewish art collector. 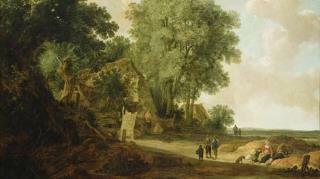 The Los Angeles institute will return Landscape With Cottage and Figures to the heirs of art dealer Jacques Goudstikker, whose collection was confiscated by the Nazis when he fled Holland during World War II. The 1640 painting by Pieter Molijn was purchased at an auction nearly 40 years ago in "good faith," said a Getty statement.